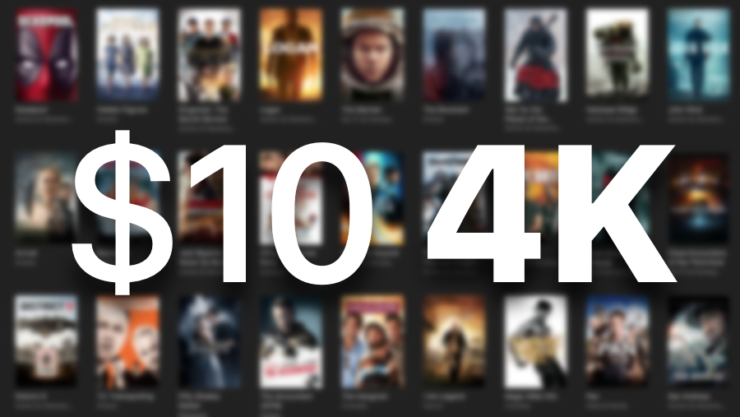 If yesterday’s $5 movie sale didn’t cut it for you, then you want to step up your game a bit as Apple is offering a bunch of great movies for just $10, that too in UHD 4K. Grab a Blockbuster Movie in UHD 4K for a Price of $9.99 for a Limited Period of Time. This Black Friday Only. Apple is no stranger to Black Friday at all as the company gets in some kind of groove for the event every year. Though it might disappoint users with gift cards in certain regions, but on the iTunes end, the deals tend to be sweet. For instance, yesterday the company offered up movies for a price of $4.99, and along with that a list of flicks for $9.99 in UHD 4K. If you are all about that high-resolution viewing, then this list is definitely for you.